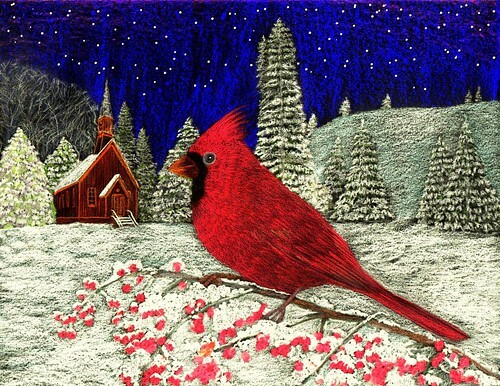 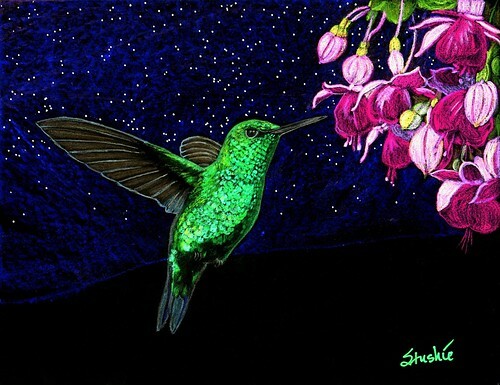 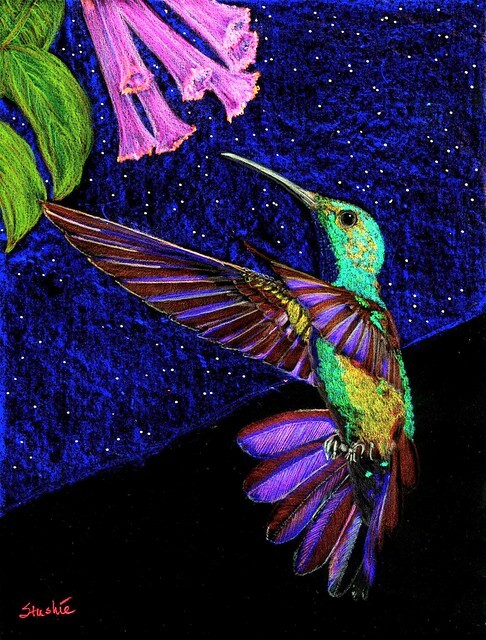 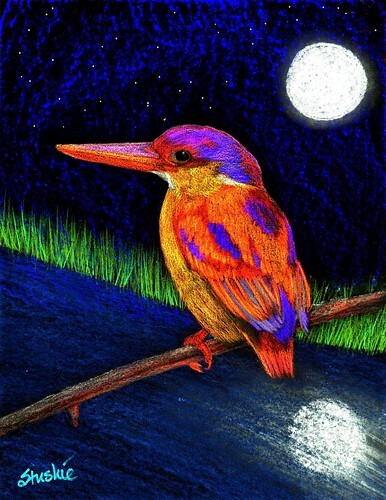 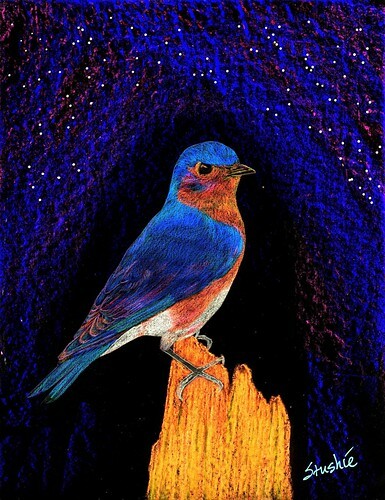 Bluebird art – another in my nightbird series -where I draw daytime birds under nighttime skies. 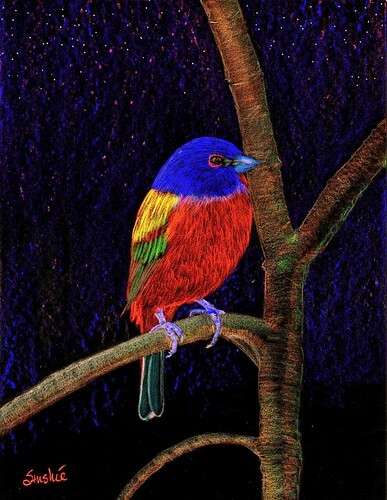 This was done using pencils, crayons, and some digital. 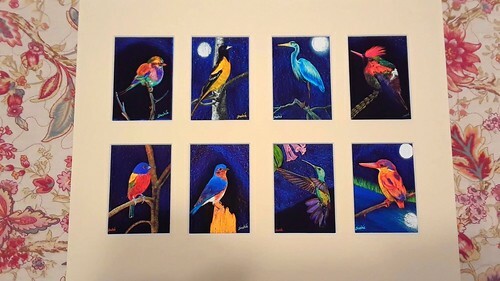 prints are available – see below image for details.